After purchasing your new (or used) reel, REMOVE THE LINE SPOOL. Wipe off the oil on each end of the spool shaft and then add a drop of reel oil to the ends of the spool shaft as well as the openings they fit into. This is listed as the FIRST STEP because it will be a necessity later to maintain consistent casting control at your "normal" settings. 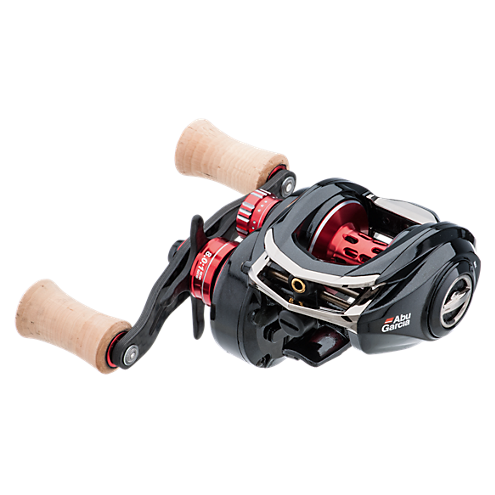 Unless the reel you purchased has line on it, a QUALITY 12-14lb MONOFILIMENT line is a good starter line. Fill the spool firmly (but NOT TIGHTLY) to 1/8" from the top of the spool. Once you become confident in your casting abilities, other lines can be added to the TOP HALF OF THE LINE on the spool. Tie on a lure. A 3/8 oz casting plug (in the yard) or a 3/8 oz spinner bait (on the water) would be a good choice for casting practice. For NEW baitcast reel users, use your spinning or closed face casting reels for light line/lure use. Push the button and have someone pull your lure out to what you would consider a normal casting distance. At that point, take a 1" piece of black electrical tape and place on the line on the spool, and then wind the line in over the tape. The purpose of this "black tape" trick is to avoid DEEP backlashes as you are getting used to your reel. Should you catch a big fish later and the line exceeds the casting length, the black tape will simply slide off the line as you fight the fish! REMEMBER to re-apply the tape before your next cast! The best baitcast reel for BEGINNERS has both a MAGNETIC CONTROL DIAL as well as a SPOOL TENSION KNOB. The Magnetic Control Dial should be set at its LIGHTEST setting while the Spool Tension Knob should be set firmly but NOT tightly. With your lure at the tip of the rod pointed up at a "10 o'clock" position, depress the button and SLOWLY turn the Spool Tension Knob until the lure drops SMOOTHLY from the tip of the rod to the ground. Wind up and repeat until you have a consistent setting established. Use the Magnetic Control Dial to "fine tune" the drop. REMINDER: ALWAYS keep your thumb hovering above the line spool as the lure drops, stopping the spool BEFORE the lure hits the ground if you find the fall to be too fast! Depress the button, keeping your thumb on the spool to control the lure. Hold the rod and reel so that the handle is pointing upward for greater wrist flexibility. Holding the rod and reel in front of your body, bring the rod backward so the tip reaches a point above and behind your shoulder. Without stopping bring the rod back in front of your body in a single SMOOTH motion. Rotate the reel 90° as you release the button as the rod is brought forward so that the lure is launched slightly upward and outward toward your target. The "trick" to keeping the line STRAIGHT as you cast is to POINT AT YOUR TARGET with the rod tip until the lure approaches the water surface, stop the spool with your thumb and begin your retrieve. Information above provided from over 40 years of personal experience, along with tips provided by ABU GARCIA tutorials and from their baitcast reel operation manuals.